A number of people were climbing lofty hills just to aim for their same objectives �C making their way to the peak of snowy mountain of Jizhou. We, human beings seems to be microscopic in comparable to the nature. 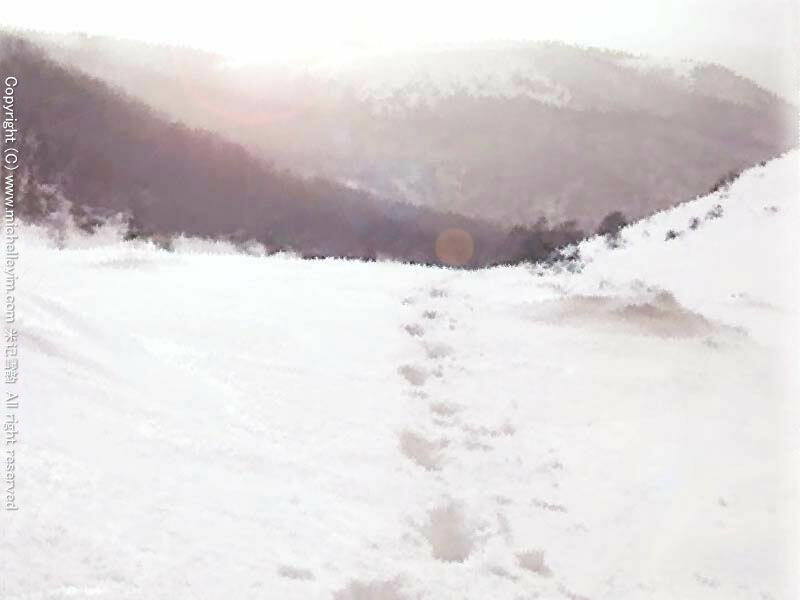 After walking with bated breath for some time, we finally ended this tedious journey; we had arrived at the peak of the snowy mountain. We were surrounded by the colour of whiteness. We could not differentiate between the sky and the ground of the snowy mountain, as they were almost of the same colour �C as pure as a morn. We carried out our job immediately after having a rest on the cooling and icy mountain. As we all know Damien’s attitude, once he is in the process of filming, he will cover up his initial smile, immediately carrying out his work seriously. He is very particular in filming series. He is a professional person, and hopes for the finest. As expected, a scenario has to take up quite some time to finish. In addition to the cold weather, I was nearly frozen and was trembling with cold. My expression was almost nowhere to be seen. With the force of roily mood and dreadful weather, my eyes were watered, but not yet in rolling down my cheeks. I agree to their sayings, “being with a professional is a deadly job for ownself (courting doom to ownself)”. Some beholders must have been aware of my feelings, that they handed me jacket whenever finishes filming a scene. I was deeply moved and touched by such action. Till dusk came by, we then finished our filming, heading our way to our hotel. Through the journey, we took great care of each other. However, I slipped and fell. We were skidding through the mountainside, as if little children playing happily in the playground. We were filled with excitement and trepidation. At last, I have experienced the skidding in the snowy mountain. But on the contrary, I was also afraid of being lost with them that I decreased my speed. Fortunately, we manage to assemble at the foot of the mountain. Such an interesting encounter made, had filled our journey with joy. This trip to Korea not only had earned us experience, but fun, and amount of money too. Through the travailing journey, we had closen the bond between each other and found new friends too. This made me even more cherish the ties between friends and family. The trip had also left me an unforgettable memory. I felt it was worth it for me to guest starring in series Rise of Qin Empire -- Emperor Qin Shi Huang.